An oft-uttered phrase regarding the world’s dominant system of global operation, capitalism, since at least the days of Margaret Thatcher is, “There is no alternative.” That, of course, is a lie and uttered only by regressive individuals that seek to preserve the private privilege, wealth and profit of the few, attributes obtained through ongoing oppression and exploitation of all workers the world over. The following text purports to be written by Mu’ummar Qaddafi. In it, he very much describes an alternative means of existence to that imposed by capitalism. In that description are contained the reasons behind the barbaric assault on the Libyan people by NATO forces, because capitalism cannot allow any alternative to exist. Libya may not have been paradise on earth, but any State that has at its foundation the provision of free housing, free medicine, free education, free food, along with low cost essential services and amenities, is leagues ahead of any State that provides only some or none of those necessities of life. That alternatives to fascistic, imperialist, capitalism can exist, have existed and will exist, however, is beyond question. 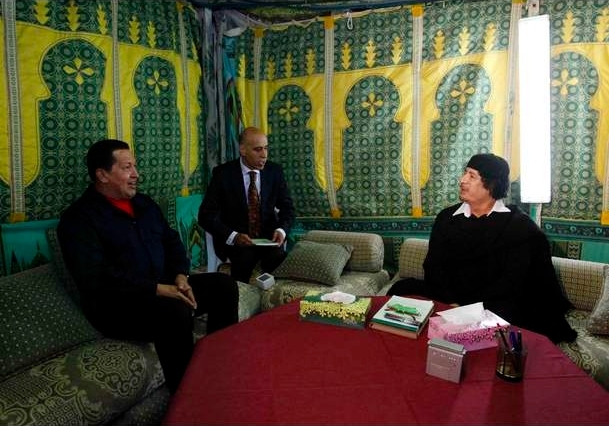 Recollections of My Life: Col. Mu’ummar Qaddafi, The Leader of the Revolution. April 5, 2011. ← Eton Rifles – What chance have you got against a tie and a crest?